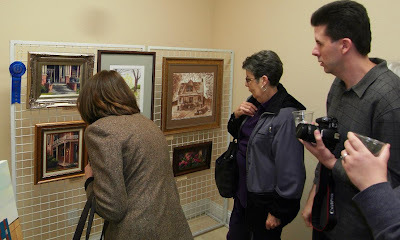 Saturday afternoon the NETFAA held an artists reception for the Paint Historic Terrell event. 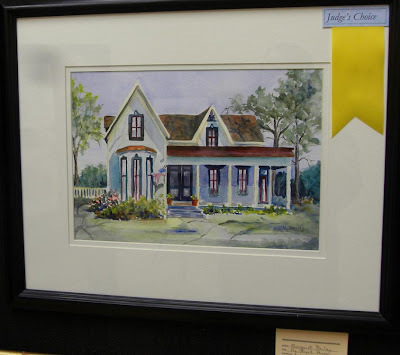 I think they had well over 30 paintings on display of the historic homes of Terrell. 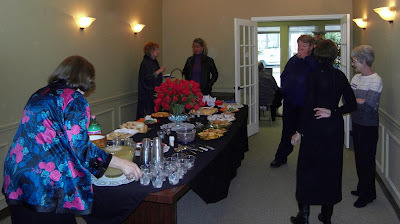 It looked like the event was huge success. 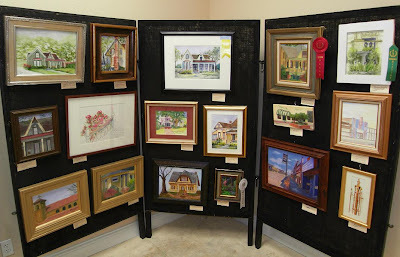 All of the paintings and drawings are for sale. 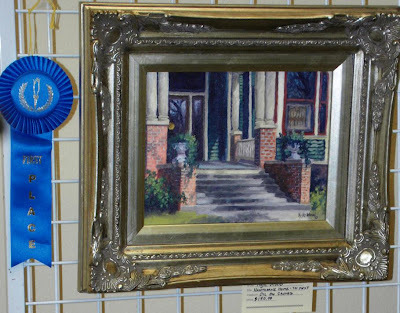 If you are a Northeast Texas artists, check out the NETFAA website. 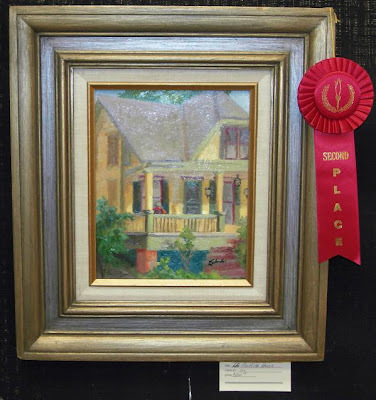 The first picture is the artist who created the winning painting, Kyle Wood with camera in hand, describing his painting and what attracted him to paint that house. 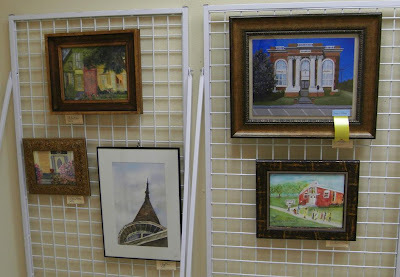 This is just a sample of the artwork on display. on my site and even had as my header page for the first year. 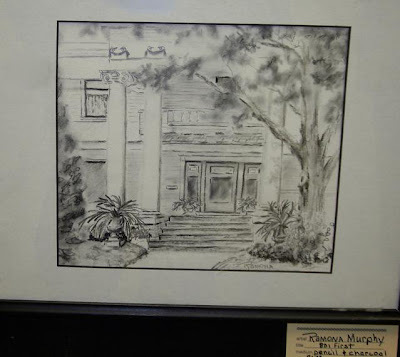 The pencil and charcoal drawing below is of the house I showed a few days ago.